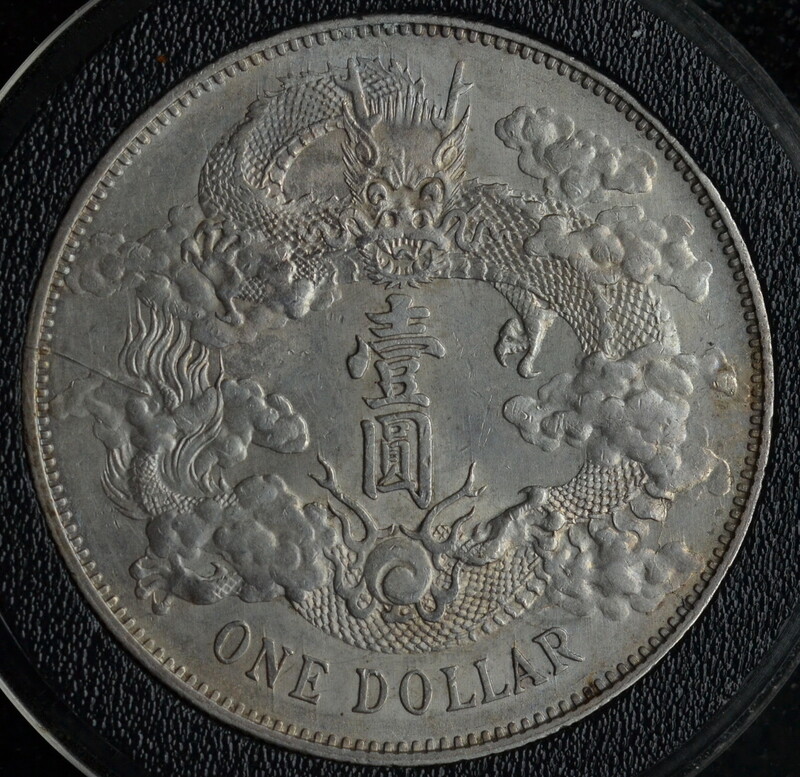 The most popular chinese silver dollar? 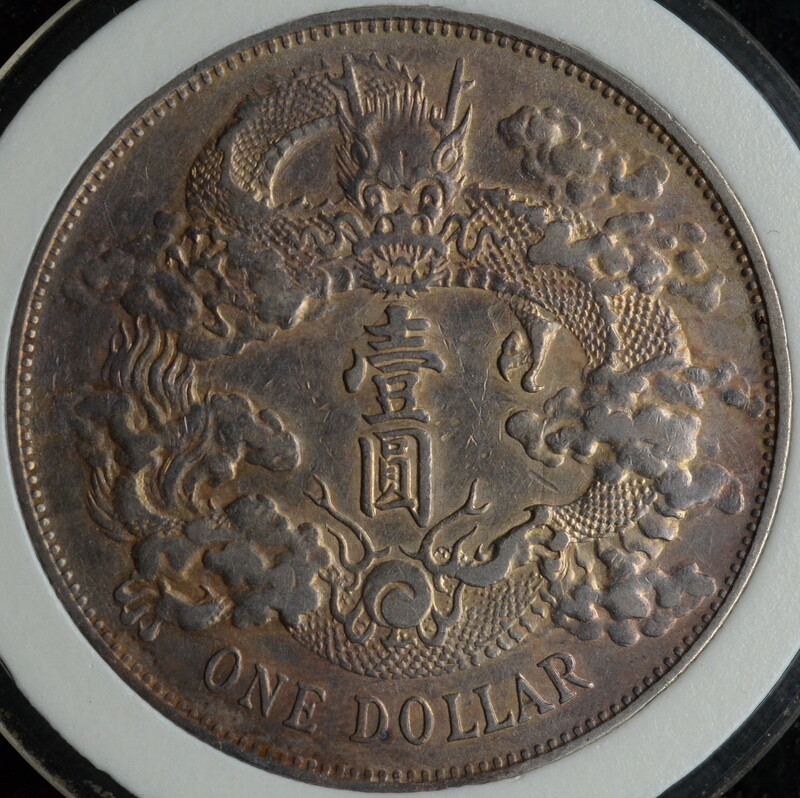 Some readers have asked which dragon dollar is the most popular amongst collectors. The most famous chinese silver dollar from the late Qing era is most likely the Y31 silver dollar, colloquially referred to as “宣三” in China. It was minted in 1911 (3rd year of the rule of Xuan Tong) at the Central Mint in Tianjin. 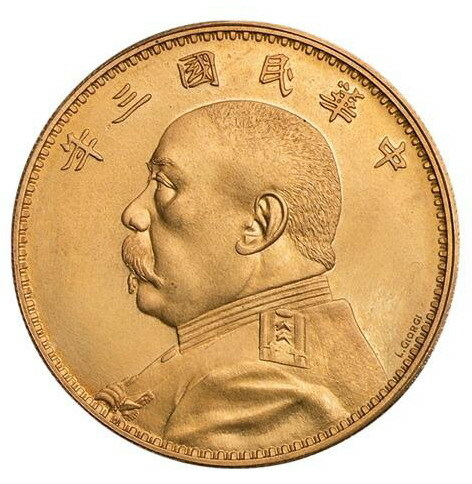 It was the last imperial coin issued before the regime was toppled by the Xinhai revolution. 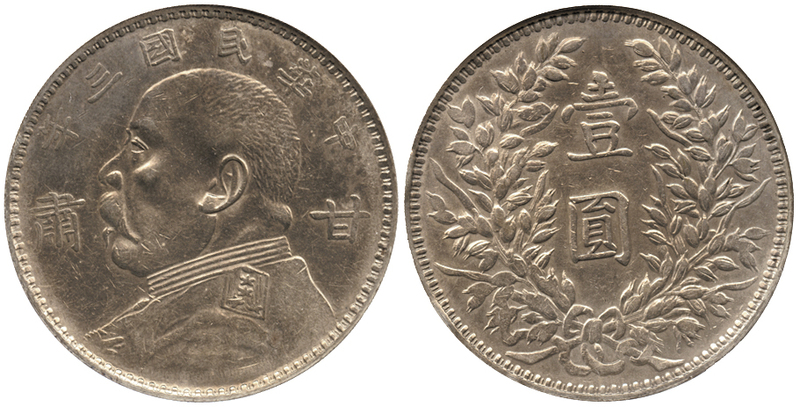 The design of this chinese silver dollar is considered by many collectors to be the most beautiful, and it is also the only imperial chinese coin bearing the “ONE DOLLAR” face value to have been circulated. While not rare by any measure, the Y31 dollar has seen its market value rise steeply in recent years due this popularity. 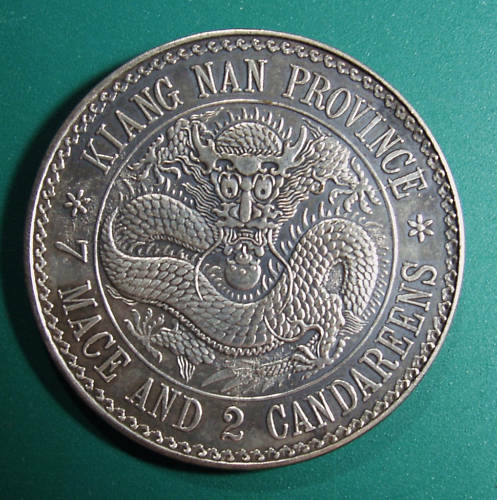 This dragon dollar was issued by the central authority, which means it had standardised weight, metal composition and design, but there exists nonetheless three die variations of this chinese coin. The last version is actually a restrike of the 浅版. 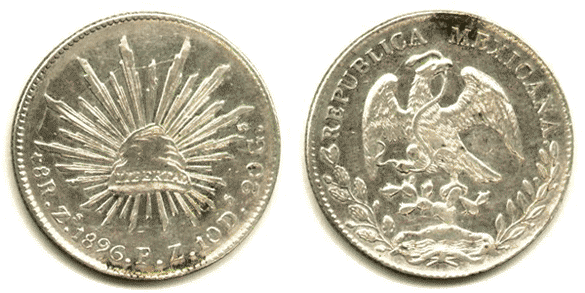 In the years following the 1911 revolution, old dies were reused to issue new coins and avoid currency shortages. The already well worn dies of the 浅版 Y31 were briefly reused to mint the Y31.1 dollar, much scarcer than the earlier “official” issues. The only difference with the original dies is the addition of a dot after the word “DOLLAR“. 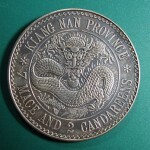 Similar alterations were done to other revolutionary restrikes, like the 1904 Kiang Nan dollar with dots in the denomination. 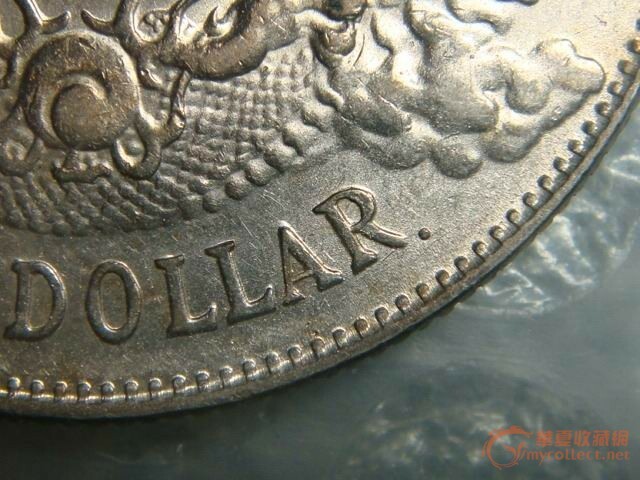 Since the Y31.1 dollar is much more rare and expensive than other versions, many unscrupulous coin dealers or counterfeiters have tooled genuine dollars to add a silver dot, thus instantly doubling their profits. 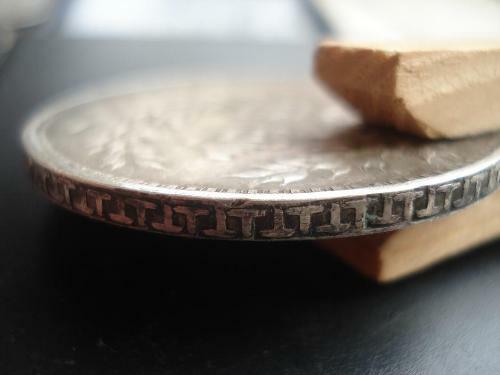 Most of these coins have been polished or cleaned first, though, to make the modification less obvious. It is therefore advised to avoid buying cleaned or polished Y31.1 dollars. 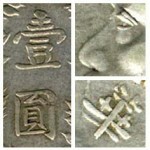 Genuine coins from the type “dot after dollar” (带点) were all made using the “w/o Flame, w/o Dot” 浅版 dies, so they have the same characteristics: fixed “R”, unclear details, and one spine less on the dragon tail. Uneven toning around the dot should be considered with extreme suspicion. A dot on a “Extra flame” dollar is a certain indication of tooling. 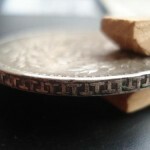 Once again, be careful when buying chinese coins! Y31.1 Chinese silver dollar - with dot after "dollar"
The first modern, machine-struck silver coinage in China began in Guangdong in 1889. 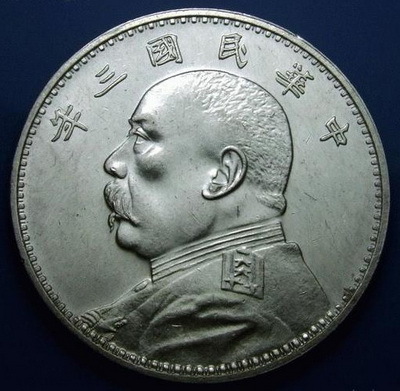 The new currency gaining in popularity, other provinces started to issue silver dollar coins. 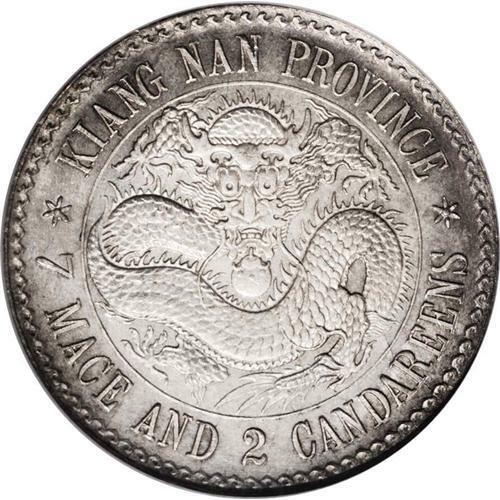 The Jiang Nan province (江南) was an early adopter and issued its first complete set of silver coins in 1897. This early set was minted in low quantities, with an original design which was quickly replaced by a more common one during the next two years. 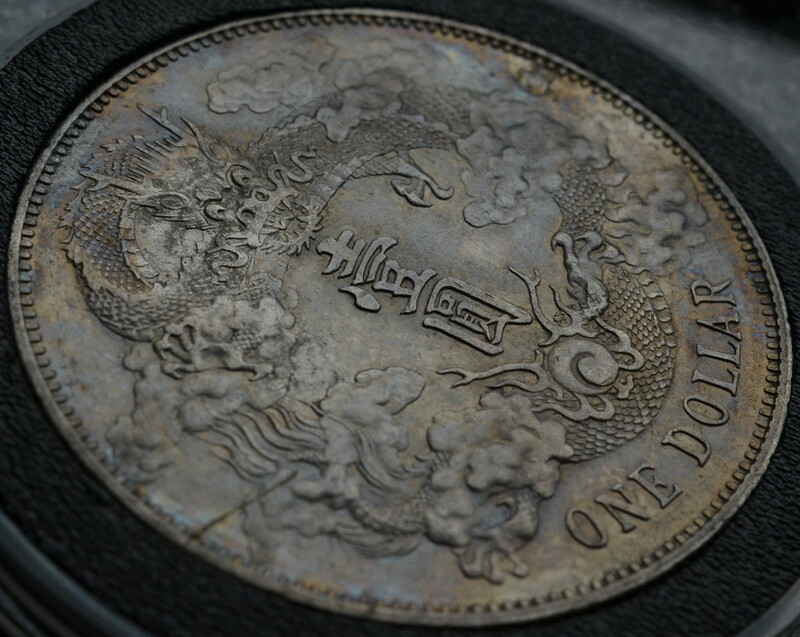 That makes the 1897 Kiangnan silver dollar a valued addition to a chinese dragon dollars collection. Sadly, the popularity of this coin amongst collectors made it a choice target for counterfeiters. I recently saw a new kind of fake Lao Kiangnan coin floating around on online auction websites. It can easily be spotted by the little bumps around the rosette at the left of the dragon, and inside its coiled tail, as seen below. 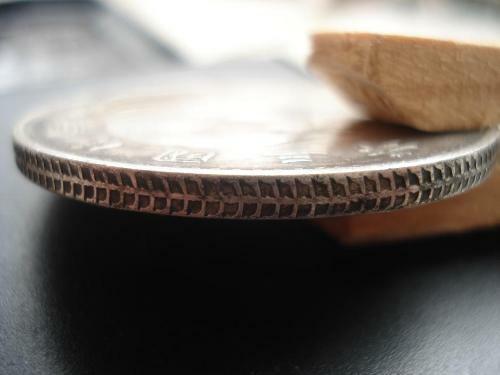 Any bumps on a machine struck coin should immediately raise suspicion; they are usually artifacts appearing during the process of casting. 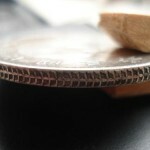 In this case, the coin is visibly struck, but most likely using a cast die – the bumps are the imprint of tiny bubbles trapped between the mold and the metal during the casting.